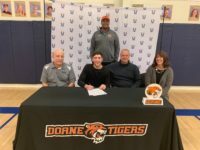 On Feb. 13th, Christian Maas, OCA senior, officially signed to play basketball for Doane University. 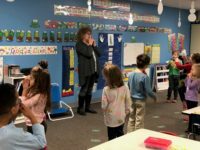 Doane is a nationally recognized university in Nebraska offering undergraduate and graduate programs through three colleges. 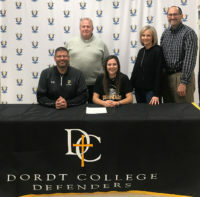 Reggie Kindle, a grad assistant from Doane, was here at OCA for the signing. Way to go Christian! We are so proud of you! 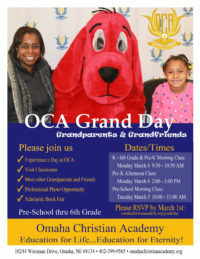 Receive important OCA news and updates via text message. 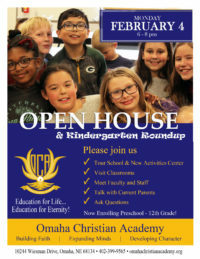 Opt-in today! 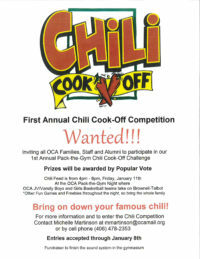 Grant Schmidt, OCA Senior, won the chili cookoff at Pack the Gym last Friday night. Congratulations Grant! That was some good chili! Our thanks goes out to all those who participated in the cookoff...those who entered their chili, those who voted and those who volunteered. Entries accepted through January 8th. Several OCA high school art students participated in a Christmas Card Cover contest for the honor of having their original artwork featured on the cover of OCA's 2018 Christmas Card. Eternity Gines is our winner with this beautiful watercolor painting. Congratulations Eternity!